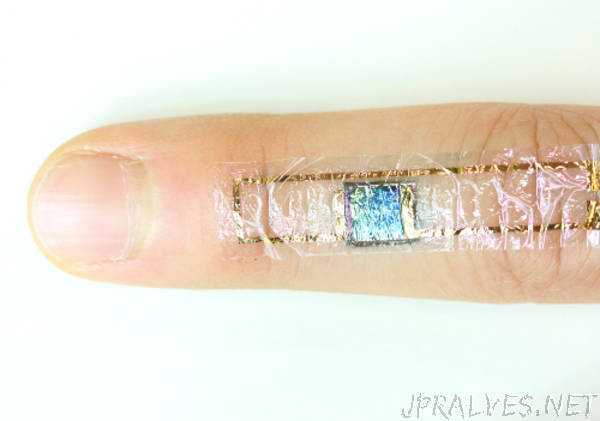 “Scientists have developed a human-friendly, ultra-flexible organic sensor powered by sunlight, which acts as a self-powered heart monitor. Previously, they developed a flexible photovoltaic cell that could be incorporated into textiles. In this study, they directly integrated a sensory device, called an organic electrochemical transistor—a type of electronic device that can be used to measure a variety of biological functions—into a flexible organic solar cell. Using it, they were then able to measure the heartbeats of rats and humans under bright light conditions.